This holiday season, serve your friends and family delicious cheese infused dishes that allow you to entertain with ease and confidence. The chef’s at Finlandia have created savory appetizers and flavorful entrées that extend well beyond your typical cheese platter. 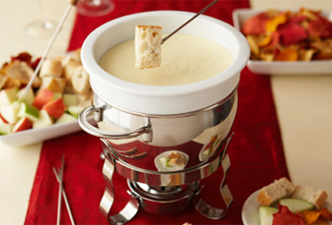 Mouths will water over delicious dishes like Finlandia’s Hot Spinach, Artichoke and Swiss Dip followed by Chicken Manicotti and topping off the night with a Swiss Fondue accompanied by a platter of everyone’s favorite fruits and vegetables. Best of all, these chef inspired recipes are easy enough that you can whip them up in your own kitchen. The master cheese makers at Finlandia offer an exciting line-up of premium, all-natural, lactose free and hormone free cheeses- in a variety of robust flavors. 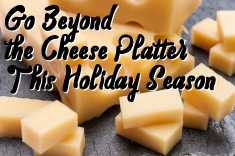 They include: Swiss, Light Swiss, Lacey Swiss, Muenster, Gouda, Havarti and Double Gloucester Cheddar and Oltermanni. You can find this cheese sliced at the service deli counter or pre-sliced in the self service deli section. 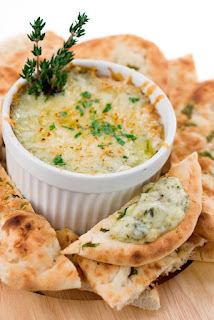 Take a look at some great holiday recipes below, for more information and other recipes log onto www.finlandiacheese.com. Cook manicotti shells as directed, remove before completely soft. Drain and rinse with cool water. Combine ricotta cheese, Finlandia Light Swiss, milk and Parmesan until smooth. Add to mixture chicken and spinach. Stuff manicotti. Place side by side in a baking dish. 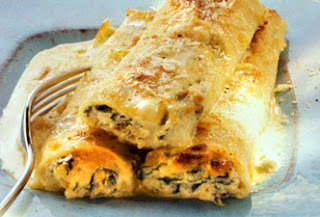 Pour Bechamel sauce over manicotti. Bake at 350 for 26 minutes. In a medium heavy saucepan, melt butter over low heat. When butter starts to foam, add the flour all at once, mixing well with a wooden spoon. Cook over low heat 3 to 4 minutes, stirring constantly to incorporate and cook flour. Remove pan from heat and let stand, up to 15 minutes. Meanwhile, in a medium saucepan, scald milk (heating it until just below boiling point). Return saucepan with roux to medium-low heat. Add all of the scalded milk at once (to avoid the formation of lumps). Simmer. Stirring gently with a wire whisk or wooden spoon. Add bay leaf and thyme sprig. Cook, stirring, over low heat, 15 to 20 minutes, until smooth and thickened. Strain sauce through fine-mesh strainer. Add salt, white pepper and nutmeg to taste. Makes about 2 cups. Rub the bottom and sides of medium saucepan with garlic clove. Heat the pan over medium-high heat. Pour in the wine and turn heat to high. Bring wine to a boil and turn head down to simmer. Place the shredded Finlandia Swiss and cornstarch in a bowl and mix together until the cheese is coated with the cornstarch. Slowly add the cheese to the wine and stir with a wooden spoon until the cheese is melted – about 3-4 minutes. Add fresh nutmeg to the cheese and stir. Season with salt and pepper and pour into the fondue pot. Serve immediately with fruit, vegetables and bread.